Happy Friday! Before I get to today's polish, I wanted to let you know that next week, I will not be posting as I'll be on vacation. If you love Disney, keep an eye out on my Instagram because I'm sure I'll post some pics there! Now on to the polish! Last year, Digital Nails released a collection based on the Doge meme. I will admit that I had no clue what this meme was until I looked it up. 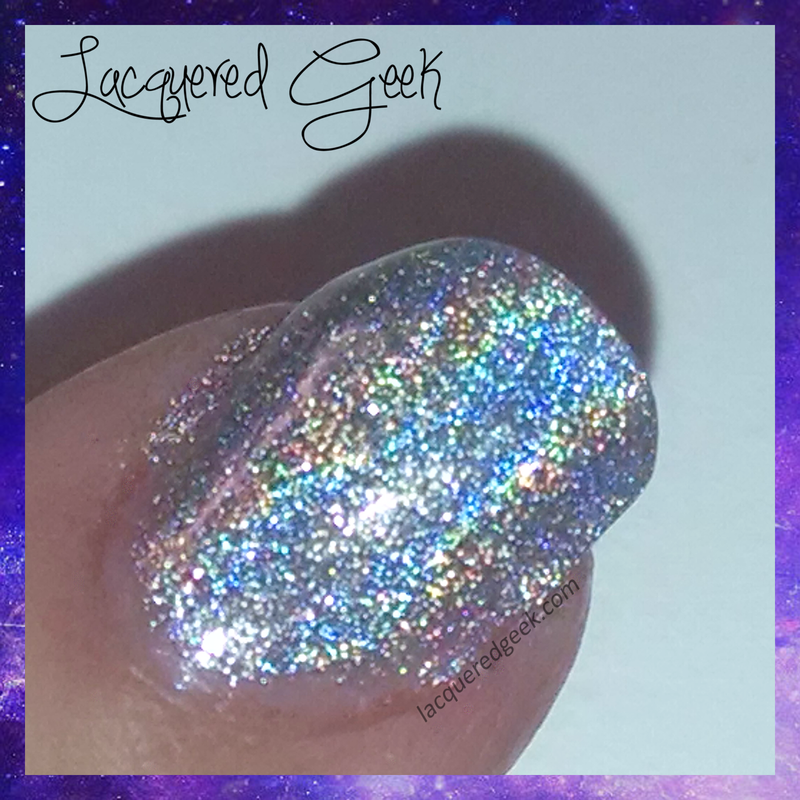 Today I want to share an amazing polish from that collection with you - Wow! 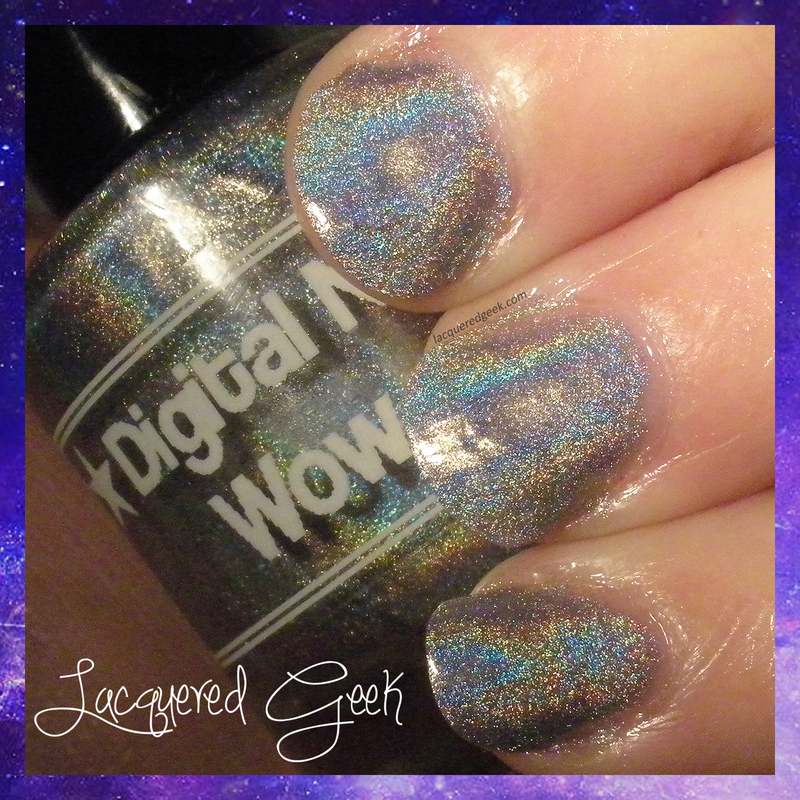 Wow is a true silver holo, and it is freaking amazing! The formula was very good. The first coat went on very sheer, but the second coat evened everything out. I did add a third coat to cover any visible nail line. In indirect light, it is a soft,dusty silver. But toss in a little light, and it becomes holotastic! 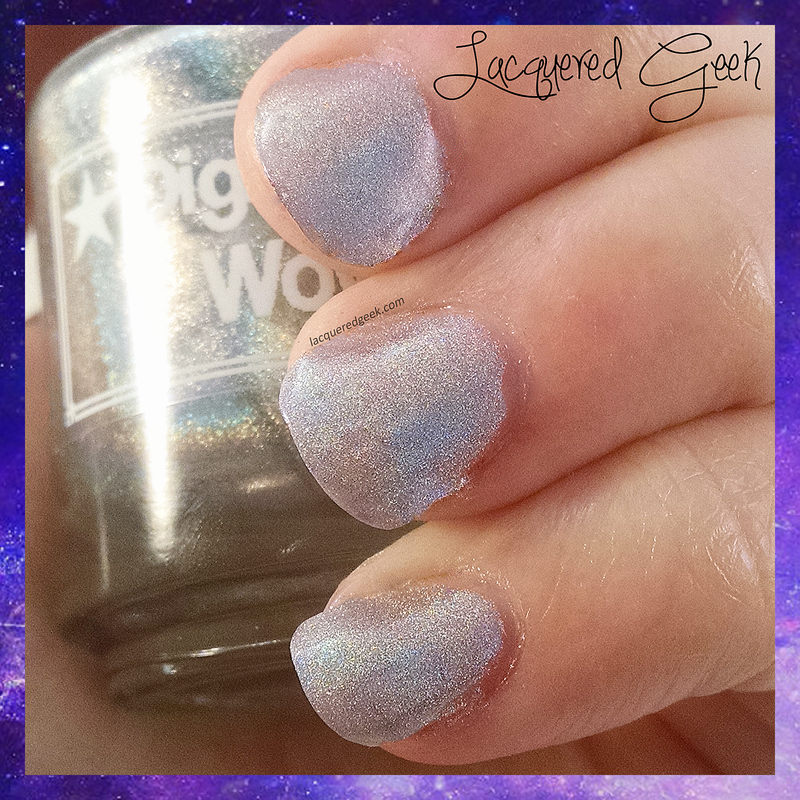 I wore this polish this summer when we drove to Ohio to visit my sister. I kept getting distracted by my nails on the steering wheel! Of course, it has been rainy and cloudy so I cannot show you a photo of this in the sun, only with the camera flash. 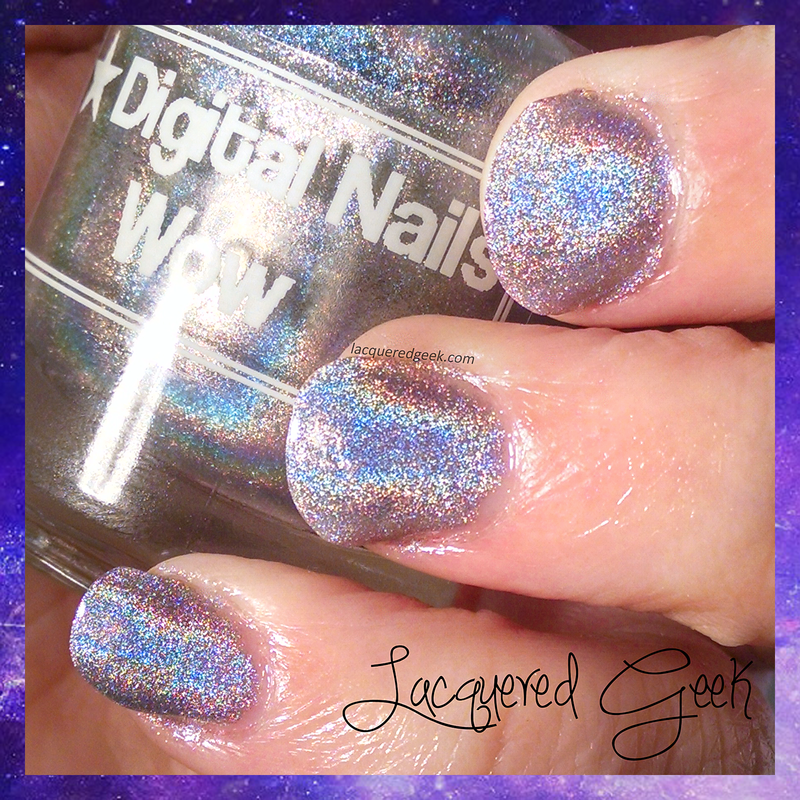 Seriously, look at that holo-y goodness! So what do you think of this beauty? 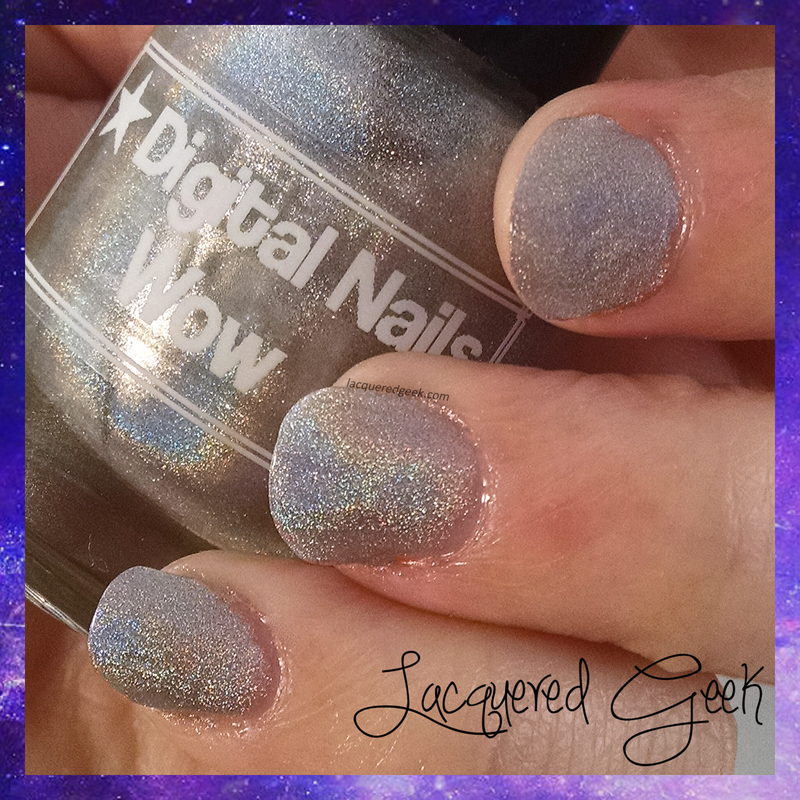 Have you tried any other Digital Nails polishes? Pretty polish. Jealous of your Disney trip!